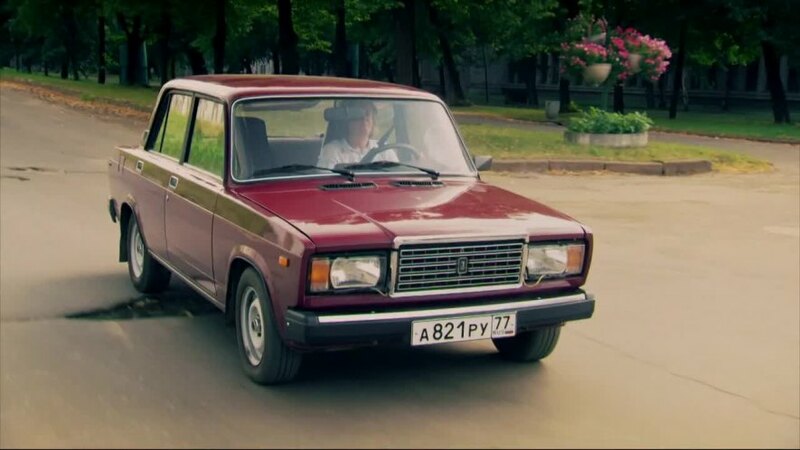 IMCDb.org: 1999 VAZ 2107 Lada 1600  in "James May's Cars of the People, 2014-2016"
It's a 2107, but I'm not sure if the badge read Lada or Jiguli. IIRC James May said it's from 1999. The red one they dropped from the helicopter was RHD, probably in UK.